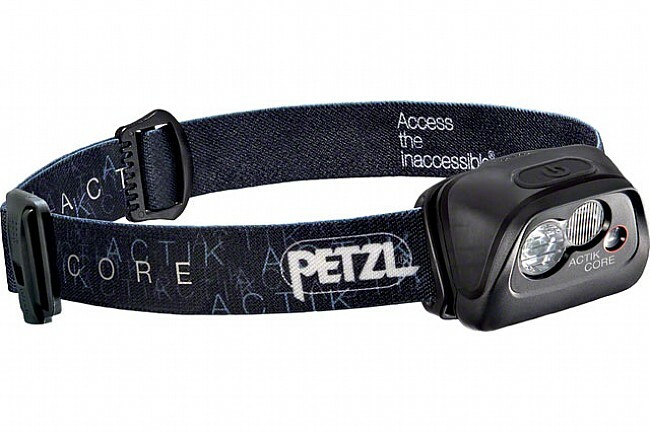 The Petzl ACTIK CORE Headlamp is ideally suited for outdoor activities like hiking, backpacking, or running, or just getting around the campsite at night. 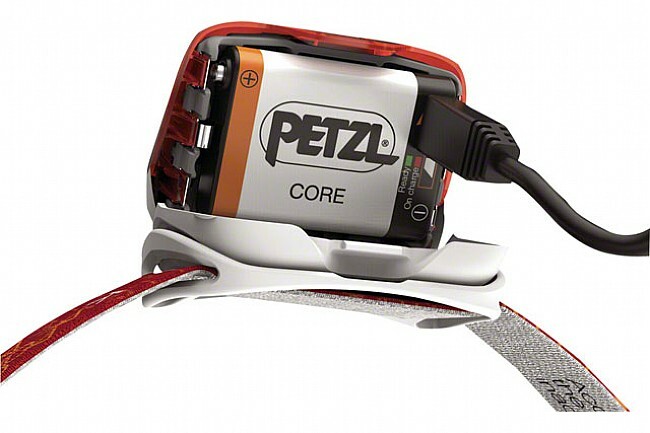 With 350 lumens of illuminating power and a mixed beam, this hybrid headlamp features Petzl's CORE battery, rechargeable via a standard USB cable, and is also compatible with standard batteries for a versatile headlamp ready for a multi-day bikepacking epic. 350 lumen multi-beam headlamp designed for proximity lighting. White or red beam color options. Hybrid system accepts either the CORE rechargeable battery or 3 AAA batteries. Emergency whistle located on elastic headband. Battery life: 2H in max, 7H in standard, 160H in max autonomy.